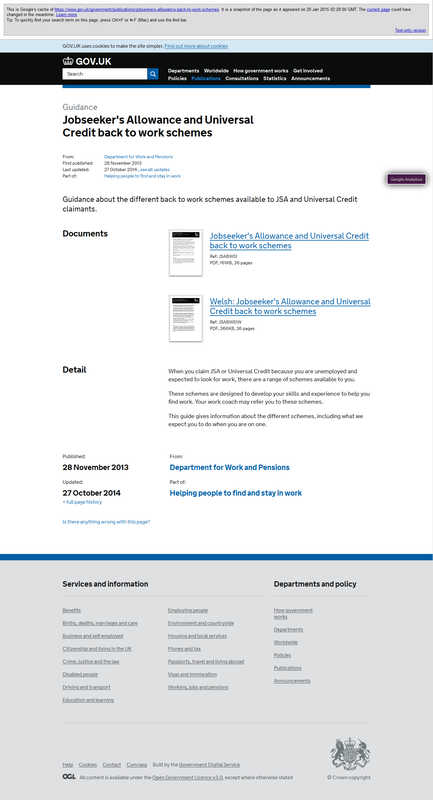 Workfare schemes: What information do you need? Below is a suggested list of information that is needed for every workfare scheme in the UK, which could help map the extent of UK workfare, enable people to secure and know their rights better, pursue complaints from an informed point of view and facilitate more informed advice and guidance provision to people conscripted into workfare. As well as enable advocacy organisations and activists develop more informed strategies and goals. Freedom of Information requests, disclosures, tribunal and court cases. – All DWP contractors and subcontractors Data Protection/Security policies, forms and leaflets relating to the sharing and obtaining of claimants personal data. If you have any suggestions to add to above list, or comments, please send them to: email@refuted.org.uk in complete confidence. resource to challenge this pernicious form of State sponsored punishment on a more UK wide strategic basis. refuted has developed similar advocacy and information resources such as those listed above, but this project would need resources beyond it’s present capacity. The DWP letter below neglects to mention unpaid Traineeships. policies do we recognise an internship as a separate entity. questions raised or scenarios posed on a particular subject. consult your Jobcentre Plus Work Coach in the first instance. The term “Work Placement”, is used by the DWP when referring to forced unpaid labour, which is undertaken on a no choice mandatory basis or face loss of benefits through a Benefit Sanctions, which can last up to 3 years. The term “Work Experience” (WE) is used by the DWP when referring to unpaid work that that are undertaken on a quasi voluntary basis. They are not voluntary as Benefit Sanctions can be applied for apparent misconduct and if the Jobcentre considers a lack of WE is a barrier to paid employment and true voluntary work or a WE is declined, then a catch 22 Work Placement can be imposed. The DWP has lost 3* first tier FOI tribunal appeal hearings on disclosure of the names of Mandatory Work Activity (MWA), Work Programme and Day One Support for Young People Trailblazer workfare exploiters. The tribunal’s decision was “unanimous” and found the Freedom of Information Act (FOI) disclosure exemptions claimed by the DWP on The economy s.29; – Prejudice to effective conduct of public affairs s.36(2)(c); – Commercial interests/trade secrets s.43 unfounded and “should therefore fail”. Therefore the DWP must disclose the withheld information, or seek an appeal. All of the 3 requesters Sheldon, Sheenan and Chance used WhatDoTheyKnow.com to make these FOI requests, alongside the cited case of Zola, with regards naming MWA workfare exploiters throughout the UK. Case cited: Zola – Successful bidders (MWA), with historical links and full text of decisions. this implies that not all workfare is “exploitative” and seems very similar to the Labour Party stance on Zero Hour contracts. Most people thought Labour’s policy was for the complete abolishment of Zero Hour contracts, but in fact all they offered was a “plan to tackle the exploitation of zero-hours contracts” (emphasis added) which is just another way of saying that not all zero-hour contracts are exploitative. The TUC is seeking an ideological shift to reframe use of the word workfare to imply that it is not always exploitative, to reinforce it’s own pro workfare agenda. *Traineeships: “The TUC encourages employers to pay travel and meal expenses” but not a wage.